Our family time in Florida is always spent combing the beach for treasures. My sister and her granddaughter’s reflected features were captured in this shot with the late day’s sun reflection in the water. Her search was successful, finding this small sand dollar! This entry was posted in Photography and tagged beach, postaday, refecltion, sand dollar, sunset, Weekly Photo Challenge: Reflections by Chuck Spindler. Bookmark the permalink. Thanks… always enjoy your beautiful and instructive entries. 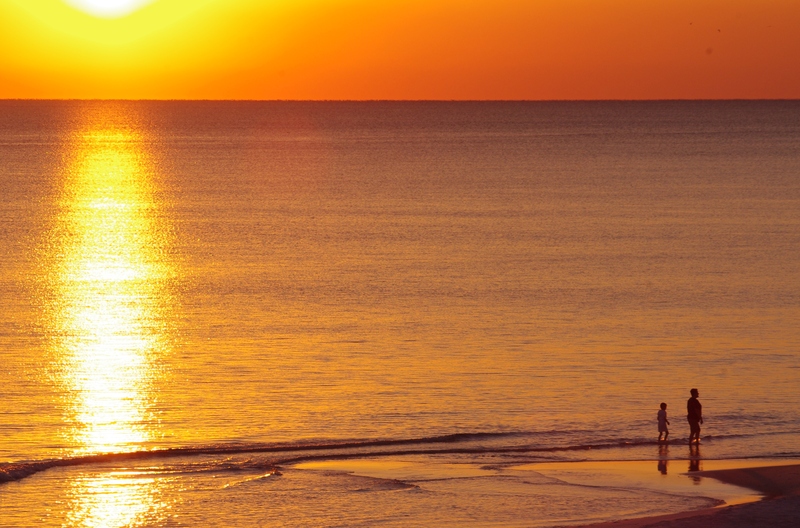 We vacation near Destin (beautiful white beaches)…never making it that far down the Gulf coast. We love our beach time, though, after being in landlocked Iowa for 11 1/2 months. Thanks for stopping by, Janet. Aww, that is so heartwarming. 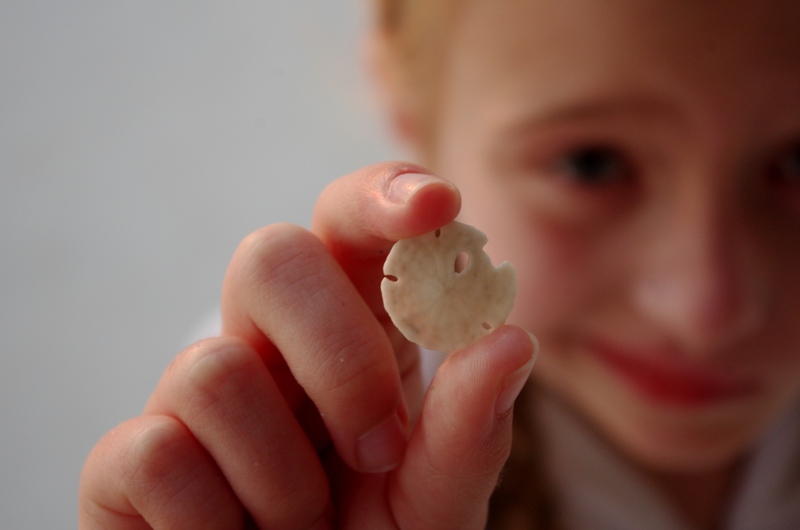 Both the tiny sand dollar and your sister’s granddaughter are adorable! Thanks, Rene. She is a miracle child, having multiple birth defects but now very healthy and bright. Her mother is coincidentally a Renee’. Thanks, Cackie. Enjoyed your Venice reflections. I’ve never been to Europe, so I have to live vicariously through others. These photo challenges have been a great way to experience the world!